As Chair of the combined AAGL PEC/FMIGS Education Committee, a new joint committee established this January 2019, I am excited to lead a group of energetic surgical educators in a shared vision to develop curriculum that meets the needs of both our fellowship and ever growing AAGL membership. The group was quick to embrace our charge, and we immediately began reviewing fellows’ feedback of recent FMIGS Boot Camp programs. Participants viewed the content as “lecture-heavy” and requested more hands-on simulation. This feedback inspired the concept of “flipping the classroom,” moving traditional high-yield talks out of the lecture hall and delivering them through an interactive webinar series. Through this structure, the fellows receive education on fundamental MIGS topics by leading AAGL experts while optimizing the simulation experience during the in-person program. 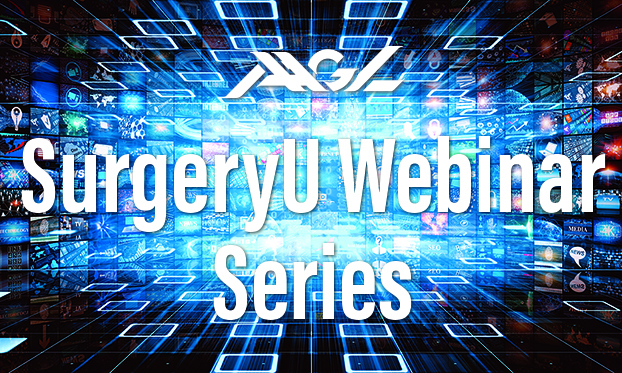 Further, the AAGL membership at-large continues to request more online interactive webinars on the SurgeryU platform. Adding to the substantial expansion the newly redesigned SurgeryU has already accomplished, these webinars could serve as an unprecedented educational resource through cutting-edge technology now available. Thus, the committee opted to open the series to the fellows as well as the AAGL membership. On March 6, 2019, 171 FMIGS fellows, Young Alumni, and other AAGL members tuned into the first webinar given by Dr. Matthew Siedhoff on “Keys to Success in Laparoscopic Myomectomy.” To date, nearly 300 AAGL members have accessed the webinar, viewable now at https://surgeryu.com. During his 45-minute talk, Dr. Siedhoff shared PowerPoint slides along with surgical videos to underscore take-home points on optimizing the often-daunting laparoscopic approach to myomectomy. Those tuning in live could use the interactive Zoom® software on SurgeryU to write questions in real time. Serving as the moderator, I was able to type immediate responses to the group as well as prompt Dr. Siedhoff during natural breaks in his talk. Using this write-in technology, participants also gave shout-outs and introductions, many providing their viewing location. In total, 171 live viewers tuned in from 22 countries, including Barbados, South Korea, South Africa, and Mauritius. With the time difference, some individuals were up at 3:00 a.m. local time to participate! For our most recent webinar, Dr. Ted Lee presented an “Approach to Advanced Endometriosis” on April 3, 2019, moderated by our SurgeryU Editor-in-Chief, Dr. Suketu Mansuria. Again we experienced tremendous participation, with 191 viewers tuning in from 25 countries, including the Bahamas, Chile, India, Nepal and Sri Lanka. Response to the first webinars has been overwhelmingly positive. 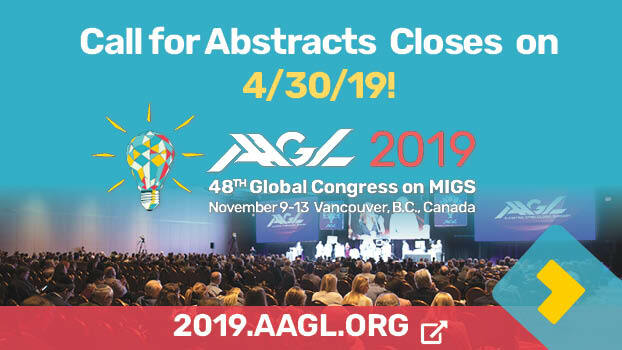 Immediately following the first webinar, Dr. Siedhoff and I received many emails and text messages thanking the AAGL for supporting an informative and unique educational event. Many commented on the strength of having a moderator and the ability to ask questions in the moment. Those that were not able to participate live for either of the first 2 webinars have enjoyed the benefit of reviewing the recorded sessions on demand, and several fellows have commented that they will likely watch this again in the future to keep the content fresh in their minds. As we constantly balance the competing demands of patient care, trainee education, and personal time, innovations like this are paramount to provide fellows and practicing surgeons accessible and salient continuing education. Personally, I was thrilled to be able to moderate the inaugural webinar, making use of technology that permitted my participation with the AAGL crew in California while I was on vacation in Colorado! Dr. Donnellan is the Chair of the AAGL PEC/FMIGS Education Committee. 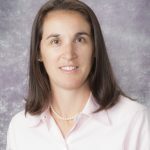 She is an Assistant Professor, Associate Program Director, Ob/Gyn/RS Residency, Assistant Program Director, Fellowship in Minimally Invasive Gynecologic Surgery, Department of Ob/Gyn/RS at University of Pittsburgh School of Medicine, Magee-Womens hospital of UPMC in Pittsburgh, Pennsylvania.